Our gated pool area boasts 4,125 square feet to lounge, relax and get some sun. The pool is heated, 5 1/2 feet deep and long enough for swimming laps. 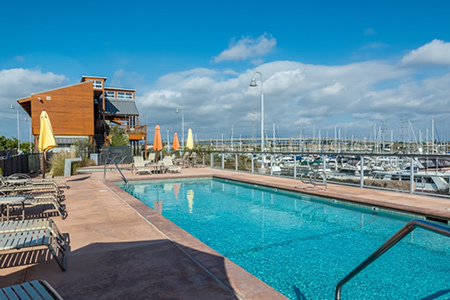 Our jet filled Jacuzzi is a great way to wake up in the morning, relax in thru out the day or enjoy the marina lights from at night. 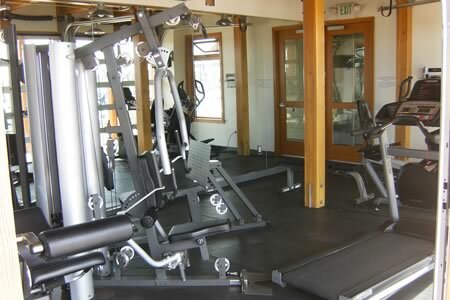 312 square feet filled with a variety of work out equipment. Use the free weights, bench or multi-function weight lifting equipment. Run on the treadmill, use the elliptical or exercise bike while watching one of 2 satellite televisions. What an amazing way to stay in shape, feel healthy and look your best. 2,970 square feet with 9 holes for the entire family to enjoy. 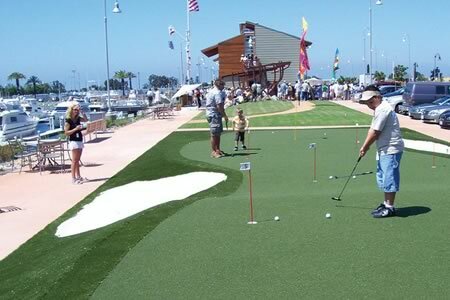 Free putters and balls are available in the marina office. Located next to a BBQ area, this makes great fun for family and friends. 4 different BBQ areas thru-out the property, each with 837 square feet available for enjoyment. 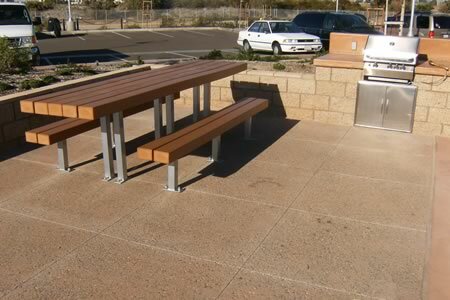 Picnic tables and benches installed for your convenience. Our state of the art built in BBQ’s have a huge workstation, making your meal easy to prepare. All BBQ’s are operated with propane gas which is provided free of charge. We offer free bike use to our tenants. Come to the office and sign out a women’s or men’s bike for the day. 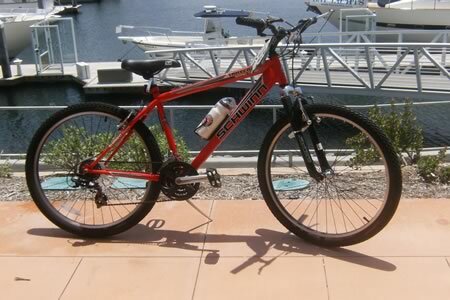 Enjoy the bike trail adjacent to our marina which will take you south, east or north. The Bayshore Bike Route is a delightful 24-mile, 2.5-hour ride with no significant hills. Most of it runs along bike lanes or separated bike paths. The scenery is rich and varied. 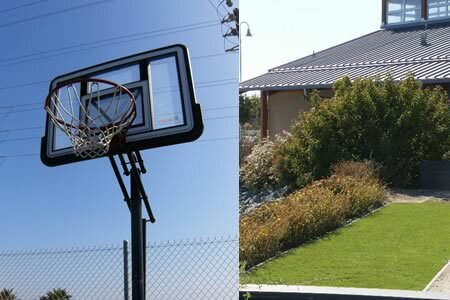 At the east end of our parking lot you’ll find a basketball hoop and horseshoe pit available for use. Just stop by our marina office and pick up a loaner basketball.